To borrow from Mark Twain, reports of the mall's death are greatly exaggerated. Some malls are as vacant as a blighted suburban street. Others are going gangbusters on a Saturday afternoon. Others still, once near death, have been revamped so successfully, they're consistently welcoming customers again. If you believe any of those statements, especially the one on malls falling apart, you'd be right. Just in the past few weeks, Wall Street has seen bankruptcy filings from mall staples such as women's apparel retailer BCBG and RadioShack successor General Wireless Operations Inc. Children's apparel retailer Gymboree Corp. on March 14 cautioned it was running low on cash and might not survive. At the same time, teen retailer Bebe Stores (BEBE allegedly is working to close all of its stores and focus solely on e-commerce to restructure out of court and avoid bankruptcy. TheStreet broke news a week ago that Sears Holdings Corp. (SHLD disclosed in its annual report that it is concerned about its ability to continue as a going concern, although the company projected it would have sufficient liquidity over the next 12 months. J.C. Penney (JCP - Get Report) and Macy's (M - Get Report) are among a host of mall-based retailers aggressively shutting stores this year to shore up their finances. The S&P 500 Department Store Index, which tracks the stock price performance of several major department stores, has crashed about 35% since hitting a high on December 8, 2016. "It would be a mistake to write malls off," says retail expert Michael J. Berne, president of MJB Consulting. "I tend to leave the possibility open that there will be some changes that might bring them into favor or some version of that." Cushman & Wakefield may agree with that thinking. In its latest U.S. Shopping Center Snapshot, it reported that vacancy rates were down from the year before; they stood at nearly 8%, the 16th straight quarter in which overall vacancies remained steady or declined. A year ago, the rate was higher, at 8.3%. For malls, there's not just one narrative. 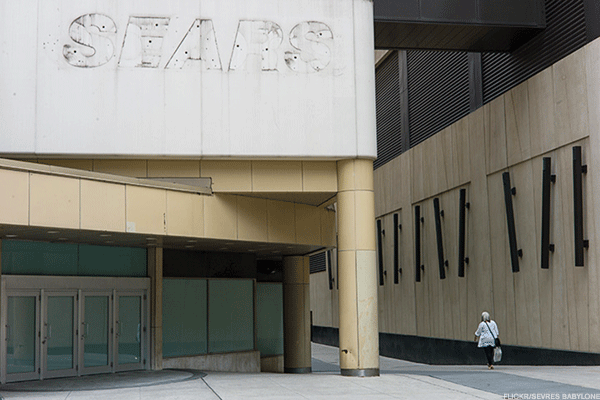 While the oft-quoted "mall is dead" and "Sears is dying" story dovetails nicely with the "demise of in-store retail," that's just one piece of what's afoot. Noted architect David Dixon of Santec offers an upbeat view on the future of malls, really how they can be changed in order to survive. Dixon's firm has been involved in many of those aforementioned retrofits. "Mall owners have great sites for future redevelopment," he told TheStreet. "They own large sites that can be re-positioned with housing, entertainment and cinema, and become walkable and amenity-rich." Retailers and mall owners need to heed shifts in demographics to thrive with today's mall shoppers, added Dixon. Suburbs, the domain of malls, are experiencing a major demographic shift from the traditional dominance of growing young families to seeing two childless demographic groups—Baby Boomers and Millennials. Surprisingly, these two groups have similar tastes when it comes to living arrangements. The Boomers and Millennials, while they may want to live outside cities, prefer "urbanized" suburbs where their home is within walking distance of shops, entertainment and gyms. "[For Millennials] socializing generally means drinking. Drinking means not driving, and long cab or Uber rides get expensive," said Dixon. "Boomers, particularly empty-nester Boomers, leave out the drinking part, but they talk a lot of about associating walkable environments with not feeling isolated and liking places where there are multiple options for meeting friends in nearby restaurants, counting on running into friends shopping along a Main Street, strolling through a park." Growing families, of course, still live in the suburbs and buy houses; they tend to be over 35 and under 65 years old, said Dixon. Boomers are in the 53-to-71-age range; Millennials are between 20 and 35 and have not started having babies in numbers. Malls also need to be a "third space" for shoppers, said Jeff Gunning, senior vice president of CallisonRTKL, a retail mixed-used architectural firm that renovated Roosevelt Field Mall in Nassau County, just outside New York City. After home and work, a prosperous mall provides not only shopping, he added, but a place to meet. Just how many malls are left in America is up for debate due to the changing nature of retail. At one time there were between 1,200 and 1,500, but now by some estimates, the number is closer to 1,000. Dying retailers are being replaced by new ones. 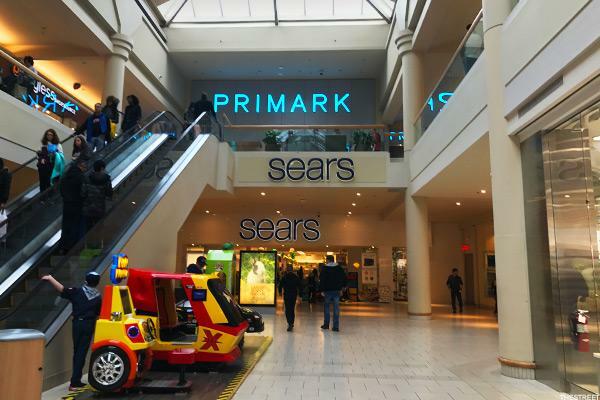 Overseas fast-fashion retailer Primark now leases space at some Sears stores, such as this one in New Jersey. Some of the most vibrant malls are enormous, boasting millions of square feet and surrounded by vast parking lots. Because of their sheer size and the strength of their draws, they are called fortress malls by developers. Count among them Roosevelt Field (owned by Simon Property Group (SPG - Get Report) ) in East Garden City, N.Y.; the Mall of America (owned by Triple Five Group), outside the Twin Cities; and King of Prussia Mall (also owned by Simon), near Philadelphia. These are dynamic shopping locations, which remain fortress-like in part because they are attuned to the public's changing tastes. A revamped Roosevelt Field debuted in 2015, which now includes a luxury wing crowned with a newly minted Neiman Marcus as one of its its anchors (Macy's (M - Get Report) , J.C. Penney (JCP - Get Report) and Nordstrom (JWN - Get Report) have long been tenants), re-imagined food courts serving up various price points and tastes, a complete redo of floors, walls, ceilings and lighting and a sleek fresh facade, all built with sustainable materials. A glow-in-the-dark mini golf course can now be found on the lower level of the mall, too. "I know of 154 properties that were enclosed malls, but are now either dead or replaced with another form of retail (most often a power center or big box retailer)," says Atlanta-based architect Ellen Dunham-Jones, who tracks malls and is the co-author of Retrofitting Suburbia. She adds there are another 338 properties that were enclosed malls and are currently planned for retrofit to another purpose—of those, 194 have been completed and 65 are in the process. Trends in mall design have moved away from large, enclosed buildings to an open-air redo with smaller retail square footage and open spaces. Some "dead" malls have been converted to green areas, or the retail space is now shared with university classrooms, government and other office space, libraries and medical facilities. Among the most successful of those retrofits is Belmar in Lakewood, Colo., near Denver, which was once the Villa Italia Mall that opened in 1966. Typical of its era, Villa Italia was a large enclosed building ringed by a parking lot with 1.4 million square feet of retail space on 104 acres. Villa Italia was demolished to make way for Belmar, a $850 million mixed-used project, which opened in 2004 and gave Lakewood a downtown. The location was carved up into 22 pedestrian-friendly blocks with an open-air design that includes retail, offices, parks, a public arts venue and 1,300 for-sale single-family residences, townhouses and condominiums, as well as loft-style rental apartments. Part of the retrofitting plan was to add lodging, which happened in January when a Hyatt (H - Get Report) House hotel debuted. Another that may be revived is the 52-acre Landmark Mall, which opened in 1965, and is now in a blighted section of Alexandria, Va. It's the property of the Howard Hughes Corporation (HHC - Get Report) , which was spun off from General Growth Properties (GGP seven years ago, and owns 35 assets in 18 states, including undeveloped land. At Landmark, the company Howard Hughes bought the anchor tenant building owned by Macy's, and only a Sears remains. Plans are to eventually tear down the buildings and replace them with a mixed-use development for residential and commercial tenants, according to Mark Bulmash, senior vice president, development, at Howard Hughes. Technology in retail generally, and at malls particularly, is doing double duty to attract customers and make shopping less work and more play. "The biggest technology is within the store itself," says CallisonRTKL's Gunning. "The smarter retailers are moving to omnichannel retailing, not just bricks and mortar, but internet sales and using social media to drive sales." Parking at a mall ranks among the biggest headaches. At Westfield London, shoppers can use smart parking: once you register, your license plate is scanned as you approach the area, the gates open automatically and the number of free parking spaces flashes on a screen. When you pull out, your credit card is billed directly. Another example is in the multilevel parking garage near the Easton Town Center in Columbus, Ohio. It is equipped with sensors that tell the driver how many total spaces are free when entering and then the numbers on each level as you drive up or down. And to help you slip into an empty space, each has a light above it beaming in red or green. Another service gaining traction is parking reservations, which you can make online ahead of your shopping trip. One step beyond those are autonomous cars. "The driver-less car is on the lips of everyone in retail," says Gunning. "They are asking themselves, 'How is that going to change my business?' 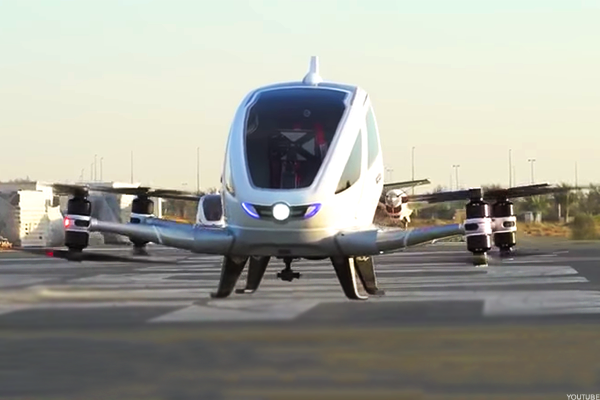 "
In Dubai, for example, a compact driver-less car, or drone taxi, built for one person is ideal for quick, effortless trips to the mall. Bigger retailers are offering same-day delivery through third-party services like Uber or Deliv, so you can shop, go out to dinner and schedule your purchases to arrive once you're home. Virtual or smart mirrors are now in some retail dressing rooms. They allow shoppers using touchscreens to try on clothes virtually to check one or more of a size, color or style. Other smart mirrors allow customers to summon a sales clerk to bring another size or color, and some at Sephora mimic light at different times of the day to show the customer how the makeup looks. These mirrors are a far cry from the ordinary ones that simply reflect your image. 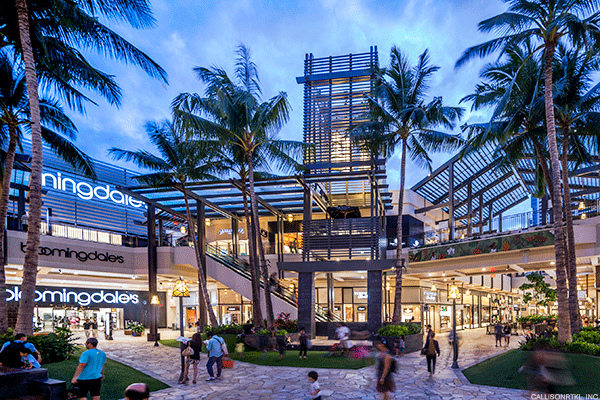 In the end, if you contrast the malls of yesterday—now vacant hulks of bricks and concrete on weed-filled asphalt lots—to today's flourishing malls, like Westfield Word Trade Center in New York, the Ala Moana Center in Honolulu and Belmar outside Denver, you see a reflection of where the best all-purpose shopping centers stand now and where they're headed. Who said the shopping mall is dead? Simon Property Group declined to comment for this article. Neither General Growth Properties nor Westfield responded to a request for comment.